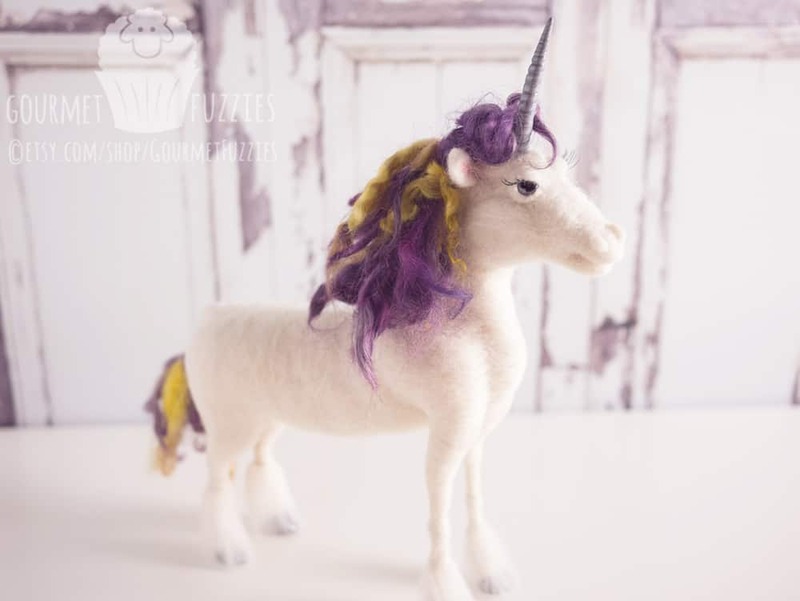 Custom Made: Nadia the Unicorn - The Petite Provisions Co. 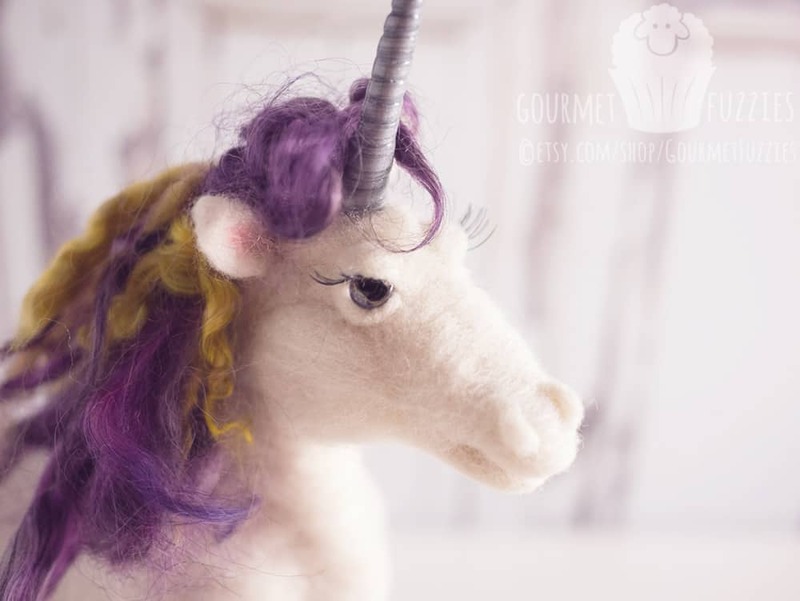 I was asked to create a purple and yellow unicorn for my mother-in-law; it’s the mascot of the cancer survivor’s group she’s in. 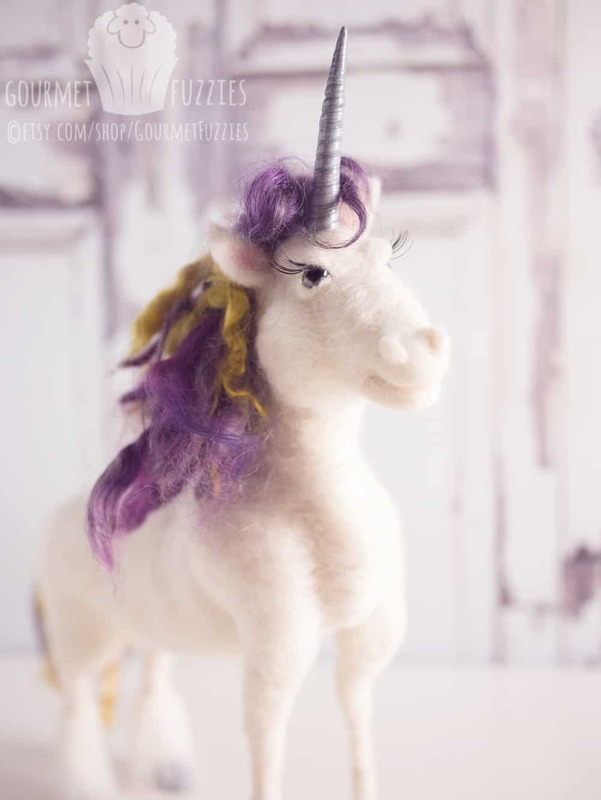 I named her Nadia, which means hope. 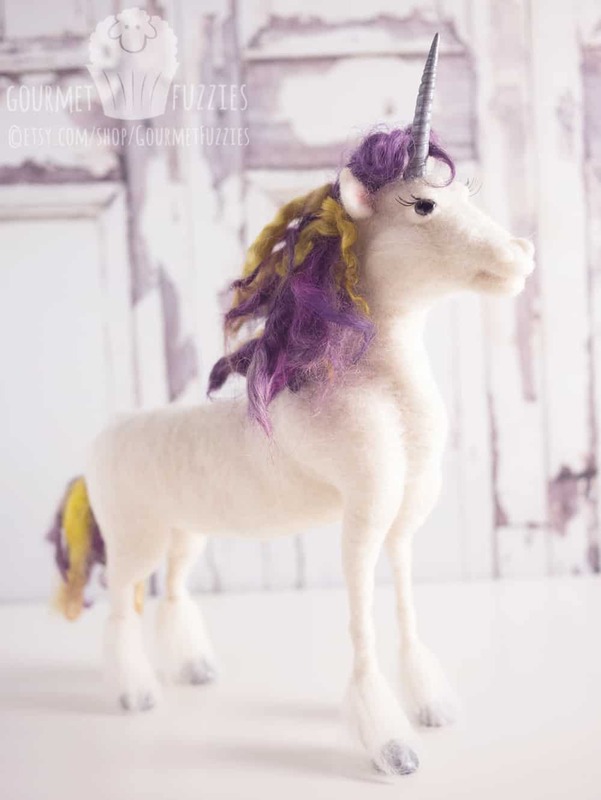 I sculpted her horn and hooves from polymer clay, and she has hand-painted glass eyes.